The bodyguard who was the first to lay eyes on Adolf Hitler’s dead body has described the last minutes of the Fuhrer’s life in intimate detail. Rochus Misch, in a book to be published in English for the first time, explains how the Nazi leader said all soldiers were “released” from loyalty and that he wanted his body to be burned, before killing himself. Mr Misch, who was the last surviving member of Hitler’s entourage when he died in Berlin aged 96 in 2013, also described how he walked in on mistress Eva Braun in a “flimsy nightie”. The telephone operator was on the switchboard in Hitler’s bunker on 30 April, 1945, when General Keitel messaged in to say the army failed to break the Soviet encirclement in Berlin and that the end of the Second World War was inevitable. "Shortly afterwards, Misch heard Hitler talking quietly to [Nazi party official, Martin] Bormann and others. He looked and saw Hitler walk into his study. Eva, now Mrs Hitler, followed him in," said the book’s commissioning editor Martin Mace. He saw Otto Günsche, the Führer's adjutant, close the door behind the newly-married couple. Güsche told Misch that the boss was not to be disturbed. "Hitler shook hands with Günsche and told him that all soldiers were released from their oath of loyalty. "Hitler had already told his adjutant that he did not want his body to be publicly abused as Mussolini's had been and that he wanted his corpse to be burned." He added: "Everyone in the bunker waited nervously. Then there was some commotion. The study door was opened and Misch looked inside." Mr Misch said: "My glance fell first on Eva. She was seated with her legs drawn up, her head inclined towards Hitler. Her shoes were under the sofa. Near her … the dead Hitler. His eyes were open and staring, his head had fallen forward slightly." The memoirs also describe how Mr Misch walked in on Eva in a "flimsy nightie" in the guestroom, which had a private passageway into Hitler's room, and she put a finger to her mouth telling the bodyguard to keep quiet. Mr Misch, who thought he would be sacked over the incident, also said he heard Ms Braun and Magada Goebbels swearing to die with their respective men. Mr Misch was kidnapped by the Soviet Red Army, and imprisoned in labour camps for eight years, after trying to escape into hiding. 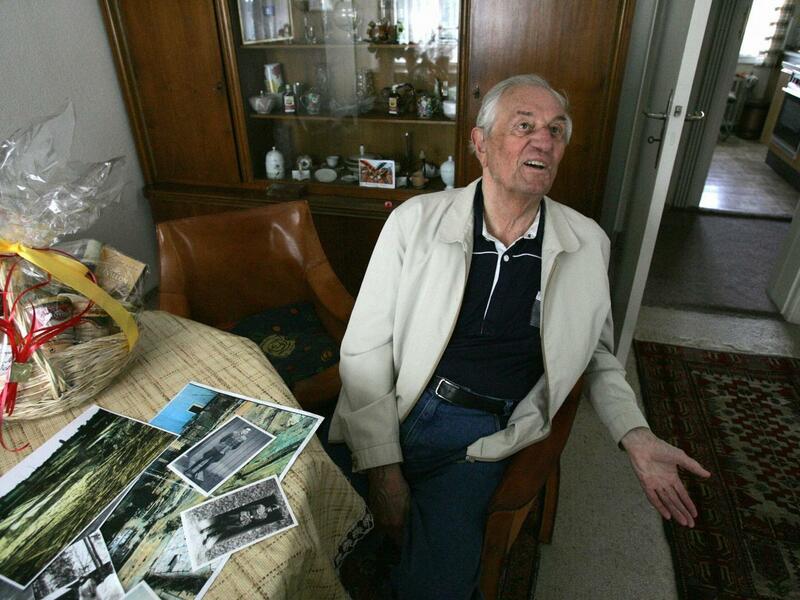 He spoke fondly of Hitler until his later years, describing him as a “wonderful boss” and "no brute", and was thought to be the last survivor of the Führerbunker after Siegfried Knappe died in December 2008.